Introduction to Programmable Logic Controllers is a comprehensive introduction to PLC theory, operation, installation, programming, maintenance, and troubleshooting. The text is a useful training tool and reference for students, apprentices, and technicians in the trade. Special emphasis is placed on the wiring and programming of PLCs for the control of industrial, commercial, and residential systems. The CD-ROM included in the back of the text is a self-study aid designed to complement the content in the book. 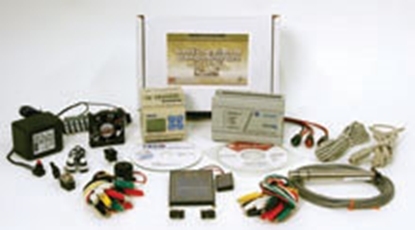 It includes Quick Quizzes™, an Illustrated Glossary, PLC Programming Software, Tutorial Videos, and other related information. 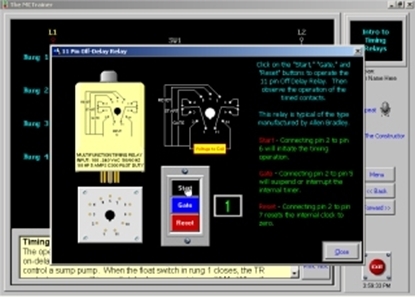 The Tutorial Videos help guide the user through the PLC Software. Introduction to Programmable Logic Controllers Applications Manual is a companion book to the corresponding textbook, containing 48 hands-on activities based on residential, commercial, and industrial real-world applications. The Applications Manual CD-ROM includes interactive animations to aid the learner in completing the activities. The Manual builds on the knowledge learned in the text and applies it to common industry practices. 2. Or you can call us at (800) 321-2155 and ask for product 02-617. Start training to be a PLC technician with this Introduction to Programmable Logic Controllers Course!